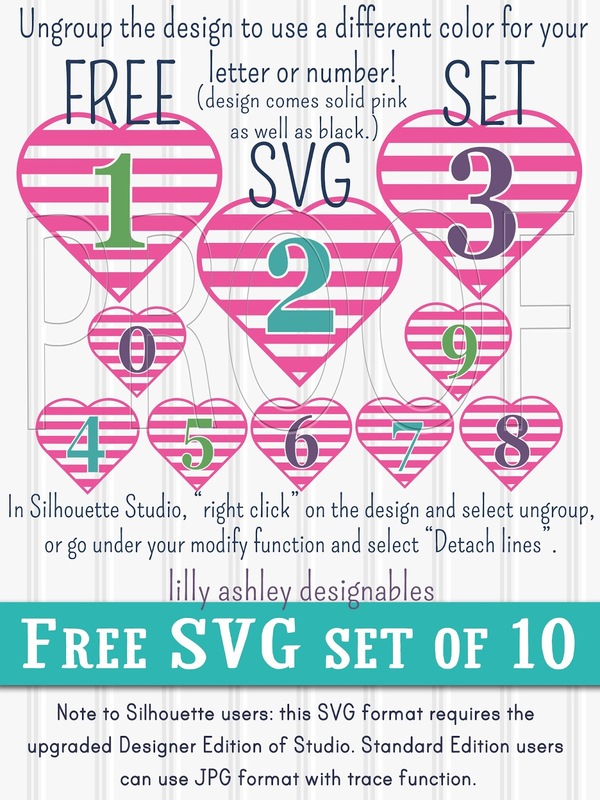 Today's freebie is a set of cut file numbers! 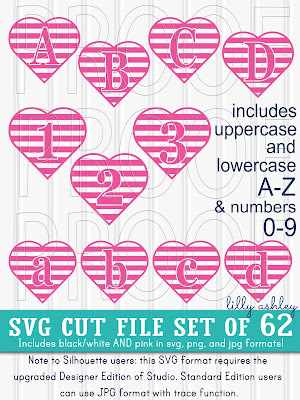 This includes number hearts 0-9 for a total of 10 cut files! 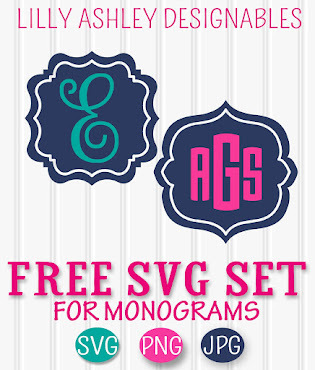 Each heart comes in black as well as pink in SVG, PNG, and JPG formats. Personal or commercial use! Credit is always appreciated. These hearts come as solid pink (heart and number), as well as black. 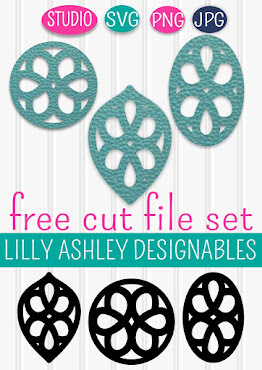 If you're familiar with ungrouping designs in your cutting program, feel free to do so with these! That way you have the option of using a different color for your number. Need matching letters to go with these numbers? Check out this newly added set in our shop! Along with the set of numbers it includes UPPERCASE and LOWERCASE LETTERS! 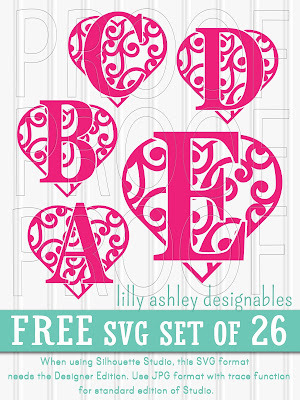 If you haven't yet grabbed our FREE SVG file SET of swirly heart letters, click the image below to get those! 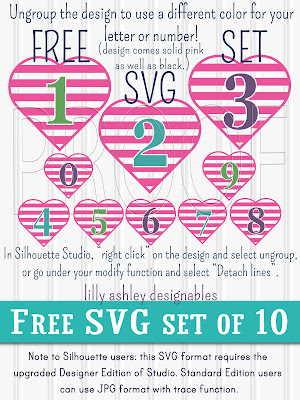 Hope you enjoy today's free svg file set of striped heart numbers! Check back with us soon...we have more freebies to add!